Rejoice, and be glad! 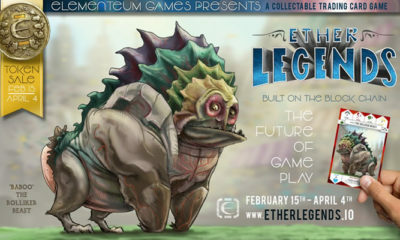 Ether Legends is here to stay! Never have you seen a company invest a lot of resources into a game. However, Ether legends transcend a game, it is an experience. When you participate in the token sale, you become part of an extended family. 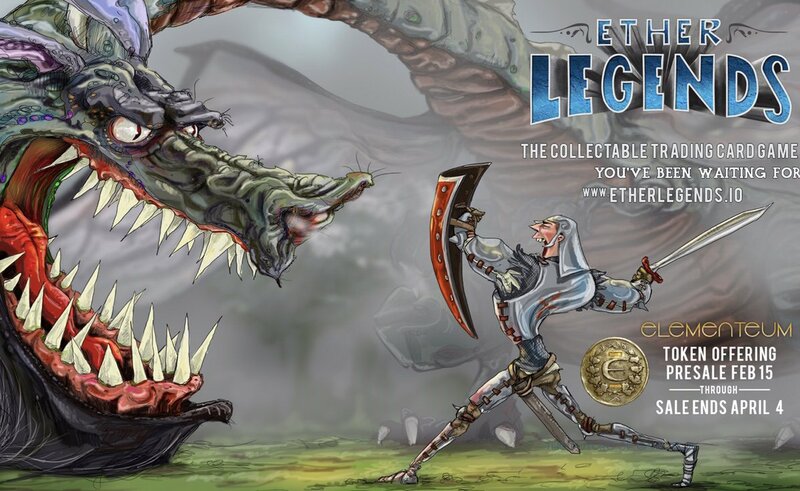 As opposed to many other games, Ether Legends is duly automated. The transactions such as payment of rewards, trading of digital assets, and recording of game experience are initiated on the blockchain network. Ethereum; the platform renowned for its speed of transactions and security is employed. All in all, you don’t just have fun playing Ether Legends, you earn instant gratification in form of monetary rewards. Also, your winnings are not susceptible to undue scrutiny since there’s no middleman or controlling body. Below, we have tabled other reasons why we believe becoming an Ether Legends supporter is a step in the right direction. The user interface of Ether legends is a single page application which has multiple tabs available. You can import or create a new Ethereum address where a transfer of funds will occur. MetaMask, a chrome plugin which facilitates the process of creating one Ethereum account and enhances transaction experience is also allowed on Ether Legends. Your digital game assets cannot be seized or withheld from you unjustly. There is no middleman to influence the outcome of your game! In fact, you get rewarded instantly with whatever winnings you have. Also, employing the blockchain technology means that the records are secure and not prone to attack. One advantage this gives is that the experience gained after each game stays with you forever and is its own stand-alone digital asset. You are never too young or too old to be an Ether Legend. The game was created for a large spectrum of people that enjoy a challenging gaming experience. The card game which is physical is always at your disposal for those who want to play face to face. You weren’t called a legend for nothing. You can have your own box seat in the arena. In the Sky box, your avatar represents your online presence. Here everything is fully personalized to your taste. Our trophies, assets, etc. are shown to the world the way you desire. You can access the Ether Legends marketplace and make transactions which are recorded and stored in a secure location. This is where you access all digital assets to buy, sell or trade on the gaming platform. There’s no limit to the horizon of possibilities that comes with becoming a player in the Ether Legends gaming platform. Bearing in mind the aforementioned merits, you are encouraged to be a part of this platform. Because it is geared at giving you value for your money, where you own digital content, you are encouraged to participate in this rewarding venture. Elementeum Games is committed to efficiency as well as a digital means of asset management. This is the right time to take part in a long-time venture that will yield bountiful harvests that you’ll be proud of. Do the right thing while you still can. Get involved with the ICO for Ether Legends and the Elementeum token.